San Francisco, CA – April 20, 2016 – The Internet of Things Community – the world’s largest network of CxO’s and IoT practitioners dedicated to the advancement of IoT, announces IBM as the headline Diamond partner for the second international IoT Slam® 2016 (Internet of Things ) Virtual conference, taking place April 28th on-line in the Cloud. Additionally, IBM Watson Internet of Things Offerings General Manager Chris O’Connor joins leading authorities as a member of the IoT Community Advisory Board. IoT Slam is the IoT event for the IoT practitioner and content purist. At the IoT Slam 2016 event on April 28th 2016, Chris O’Connor will participate in a “world exclusive” and leading edge IoT Platform panel alongside Microsoft Azure’s IoT Chief Sam George, GE Current’s CTO Dave Bartlett and Steven Blackwell, Emerson’s Vice President of Engineering. Titled: Platforming IoT: What makes an IoT Platform Transformative. This session will explore key capabilities, features and technologies that are moving IoT Platforms from infrastructure enablers to business imperatives. “From interoperability to security to future capability, platform decisions can make or break an IoT investment. Given the criticality of digital transformation across industries, this panel of IoT heavyweights will shine some light on what defines a transformative IoT platform.” said panel moderator and M2Mi COO, Dr. Sarah Cooper, Internet of Things Community Vice-Chairwoman. Also at the event, Sandy Carter, General Manager for Developers and Start-ups for IBM Cloud will present a Keynote Titled Things that think: The rise of cognitive IoT business In her talk, Sandy will outline how the Internet of Things (IoT) is generating a sea of valuable data that promises to unveil hidden meaning beyond the limits of human thinking. Sandy will also outline methods and best practices that demonstrate how customers are embedding cognitive IoT strategies into their enterprises; to acquire new customers, grow their ecosystems, and create one-of-a-kind customer experiences. 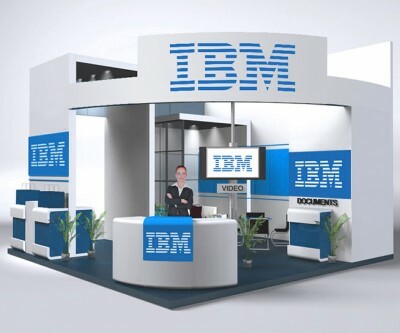 IBM will also be staging a virtual showcase of its leading edge IoT, Cloud and Cognitive Computing solutions, where attendees will be able to access and learn more about what IBM is doing to streamline the IoT industry directly on-line. For more information or to register for the event, visit http://www.iotslam.com/register Registered Attendees will also benefit from receiving full access to all IoT Slam 2015 Sessions. For more information on IBM Watson IoT, please visit www.ibm.com/iot or follow @IBMIoT on Twitter.